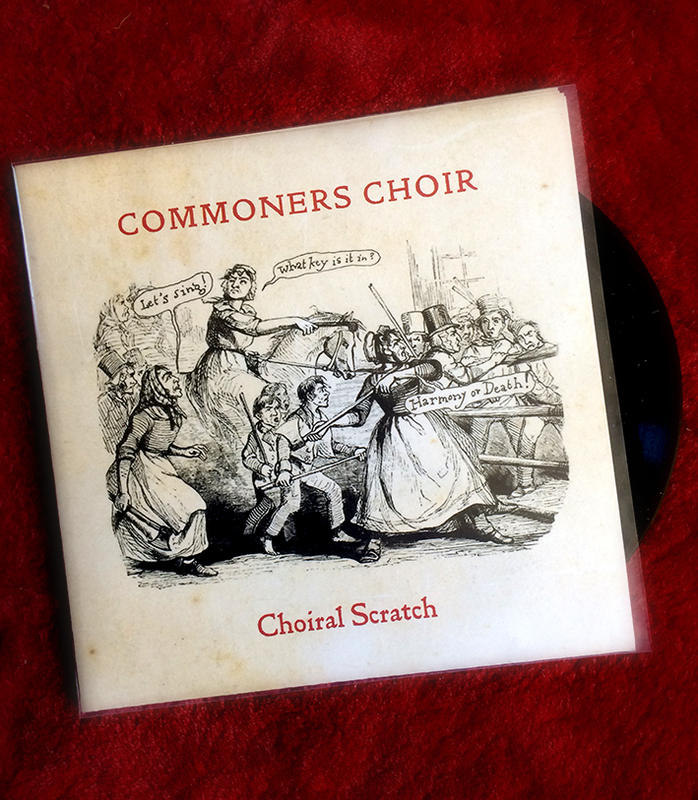 7" vinyl EP of singalong Protest songs. Released July 13th 2018. Six-track EP with fold-out sleeve, stickers etc. PRICE INCLUDES POST & PACKING TO UK. 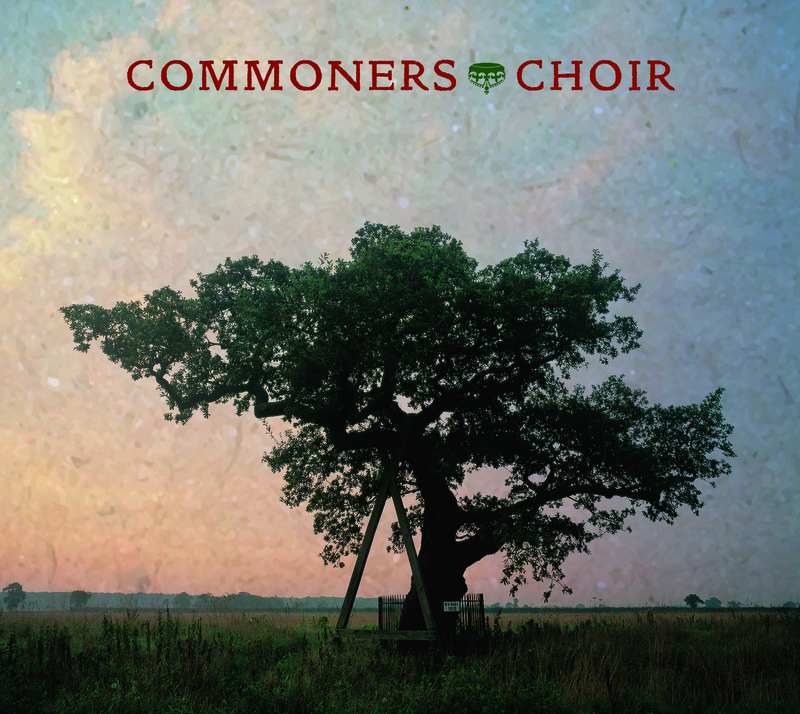 21 tracks of protest, anger, humour and hope – Commoners Choir's debut album is now available in the shops on No Masters Records (Cat NMCD49). Price from us includes postage & packing to mainland UK. Orders from Europe £15 (€17). Orders from USA/Rest of the World £16 (€19). Hey Ho Let's Go! New shirt design. Shown here: Black cotton Women's-fit shirt in Medium. Luxury two-tone fleecy-lined hoodie with embroidered logo. Black and red. Small, medium and large. 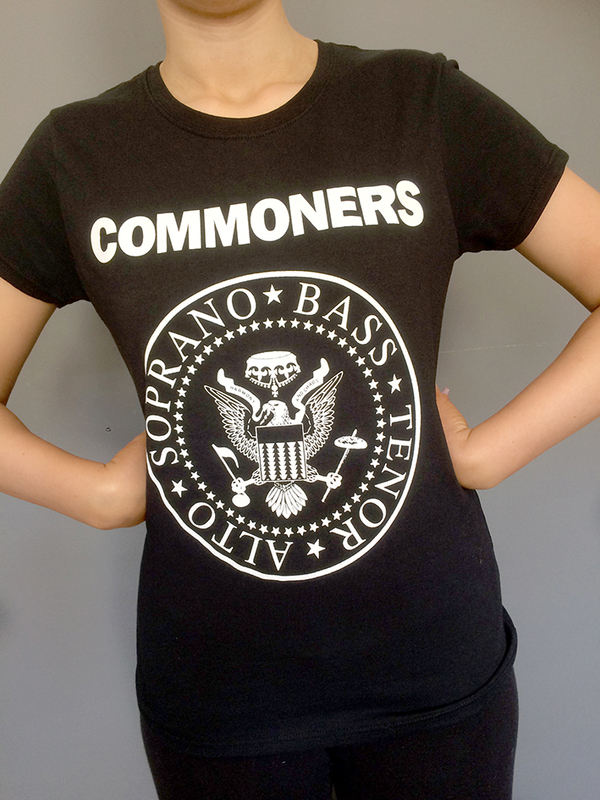 Extra Large black cotton T with Commoners Choir logo across chest. Price includes UK postage & packing. 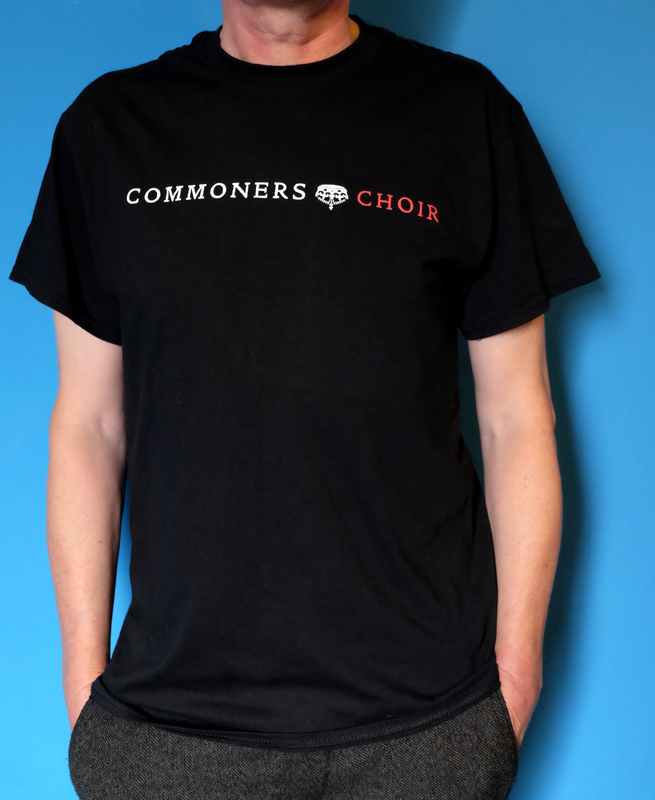 Large Black cotton T with Commoners Choir logo across chest. Medium black cotton T with Commoners Choir logo across chest. 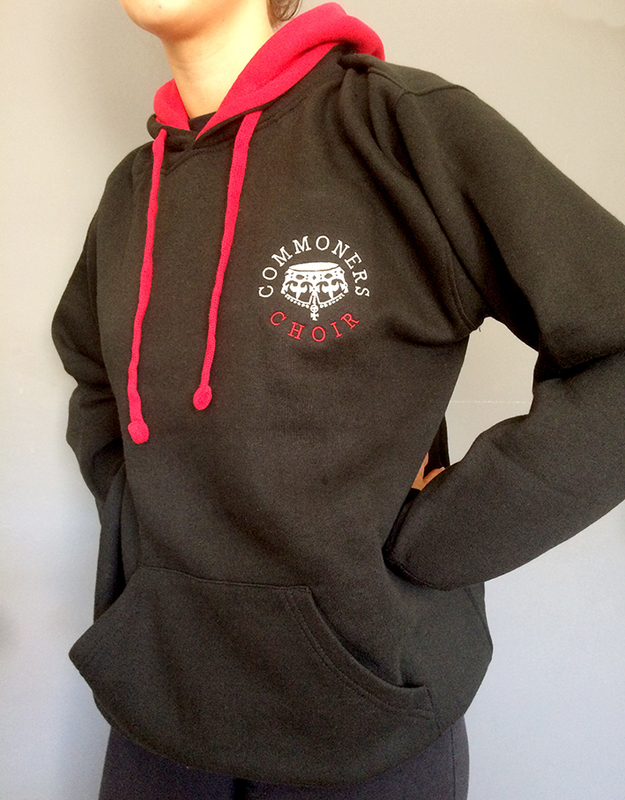 Small black cotton T with Commoners Choir logo across chest. 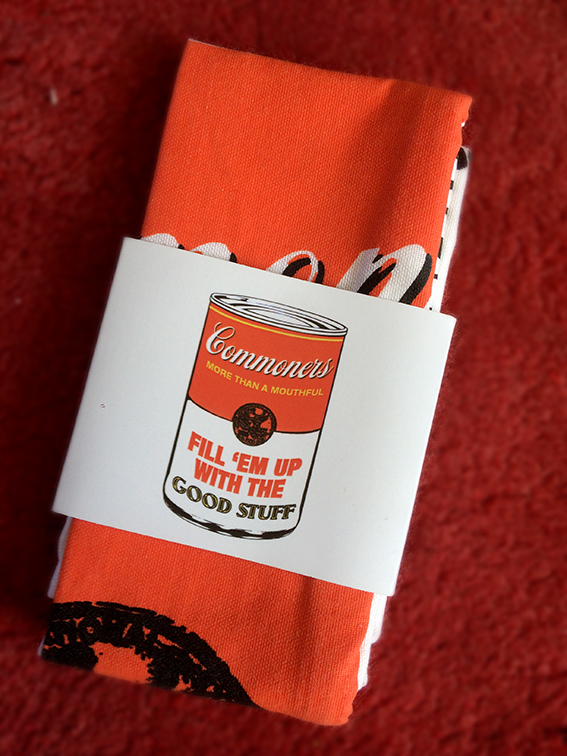 Tea towel in small gift sleeve. 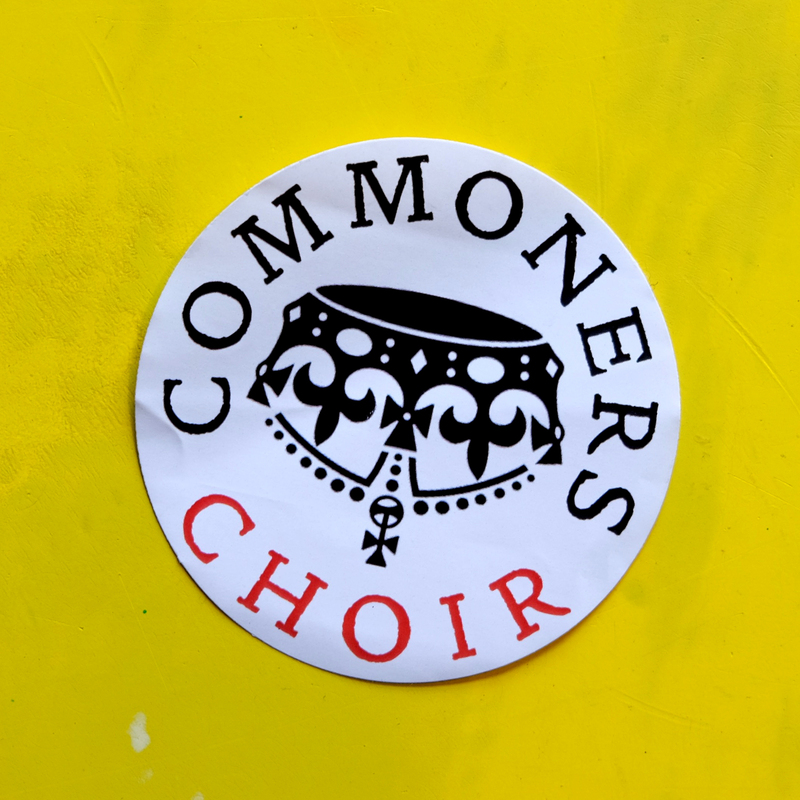 65mm diameter paper sticker with Commoners Choir logo. Pack of 10. Price includes UK postage & packing. 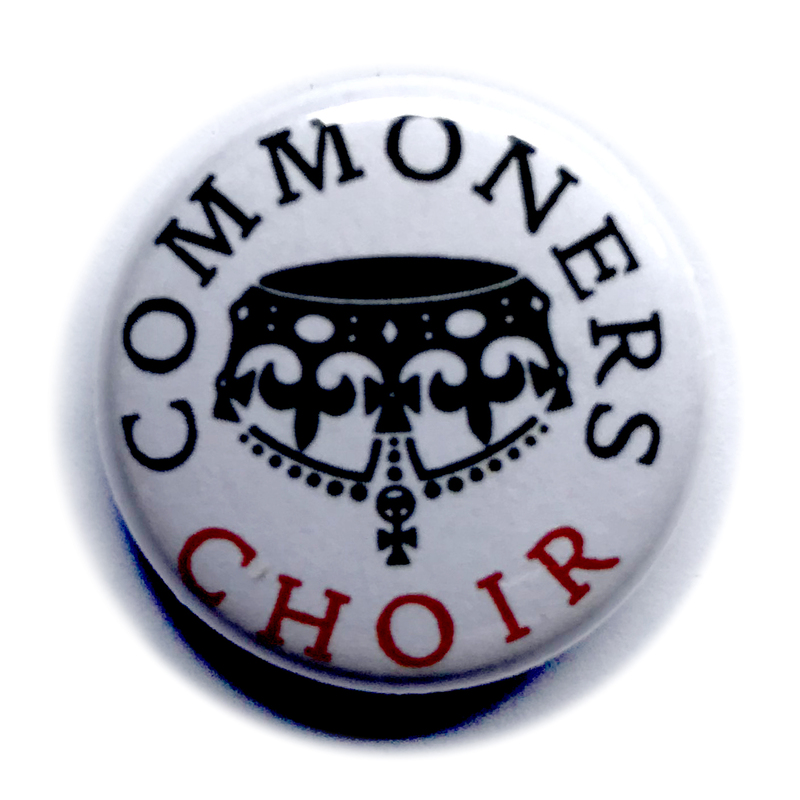 25mm button badge with Commoners Choir logo.